Kate was born May 25, 2007 and weighed in at a healthy 7lbs, 3oz. Kate was diagnosed with Propionic Acidemia after we received notification that her Newborn Screening result came back abnormal. We received the initial report when Kate was about 11 days old, and after additional testing we received confirmation of the PA diagnosis when Kate was 20 days old. During this time, Kate showed some symptoms of PA—such as sleeping more than typical newborns, she was losing weight and wasn’t consuming enough milk. On Wednesday June 13, 2007 Kate was admitted to the hospital and her lab work indicated that she was headed for trouble. She was moved to ICU and protein was removed from her diet. Kate received her special metabolic food and nutrition through an NG tube and we began learning more about her disorder. Kate quickly showed improvement after her diet was changed. Her blood ammonia dropped to a normal range from its high of 450. After 2 days in ICU, Kate moved to a private room where we began working on bottle feeding and we increased her daily formula intake. After 9 days in the hospital, we were able to go home as Kate was able to consume her daily calorie needs. Kate is now 13 months old. We have be extremely fortunate as she has been stable, healthy and growing since she was released from Cook Children’s Hospital last year. We work very closely with her metabolic team. Kate eats solid foods in addition to drinking her metabolic formula. She just started walking and says more than 10 words. She is currently on target in all areas developmentally. Kate is a very happy girl with a sweet and loving demeanor. As parents we are grateful for so many things. 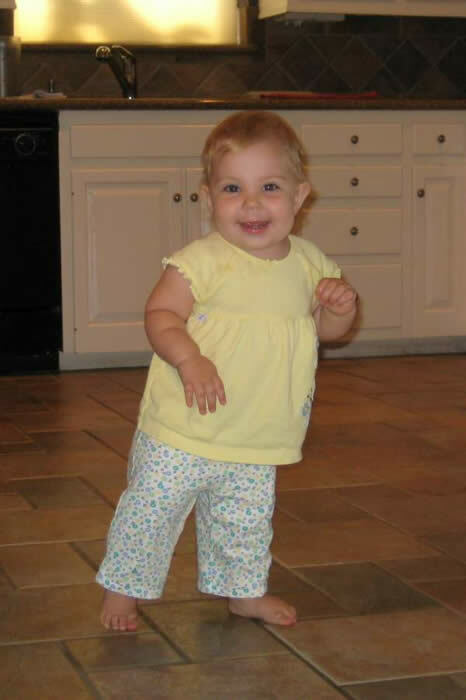 We believe that Kate’s life was saved because of Newborn Screening. If Kate had not been diagnosed early, we believe that she would have become very ill and where we lived in rural Texas was 3 hours from the specialized medical care that she would have needed. The newborn screening in Texas was expanded in early 2007 (about 6 months before Kate was born) to include Propionic Acidemia. We are eternally grateful the people that worked to get newborn screening expanded in Texas. We have a wonderful relationship with all of Kate’s doctors and medical providers. They are truly invested in Kate’s well-being. We have had unbelievable support and help from our family and friends. We have been able to network with other families that have children with PA and other metabolic disorders. These parents share information and provide support. We hope to be a support to other families in the future.